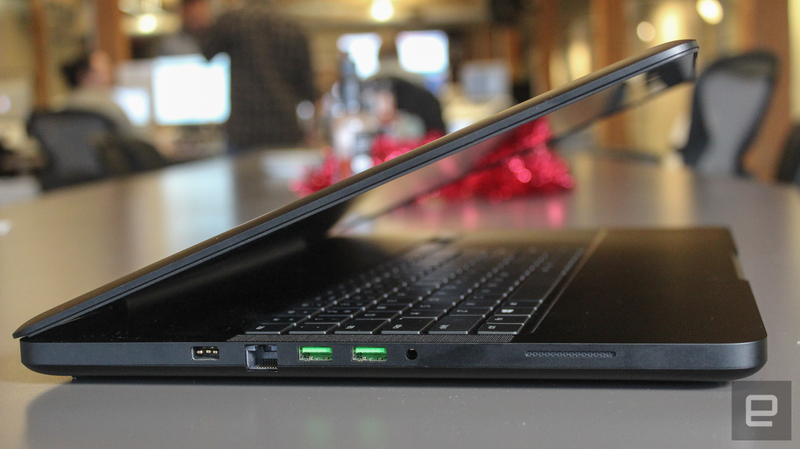 For the first time in years, Razer’s ‘Pro’ laptop is actually its best. When Razer made its first laptop, it was a company best known for selling third-party gamepads and high-performance gaming mice. Premium gimmicks were the name of the game. The company routinely released products with 17 buttons, adjustable tension analog sticks or retractable parts. This flair for novelty carried over to Razer's first gaming notebook, which featured a set of 10 customizable keyboard buttons that each housed its own tiny LED display. It was neat, but the flagship laptop was soon overshadowed by a smaller, more powerful model. Now, the company is finally giving its original notebook the upgrades it deserves: a screaming new processor, the latest in graphics technology and a keyboard without the hindrance of the original's silly "Switchblade" interface. This is the new Razer Blade Pro. The new Razer Blade Pro is unequivocally the most powerful laptop the company has ever built, and one of the first notebooks we've seen that can consistently play modern 4K games on high graphics settings. But that power comes at the cost of a high asking price and short battery life. 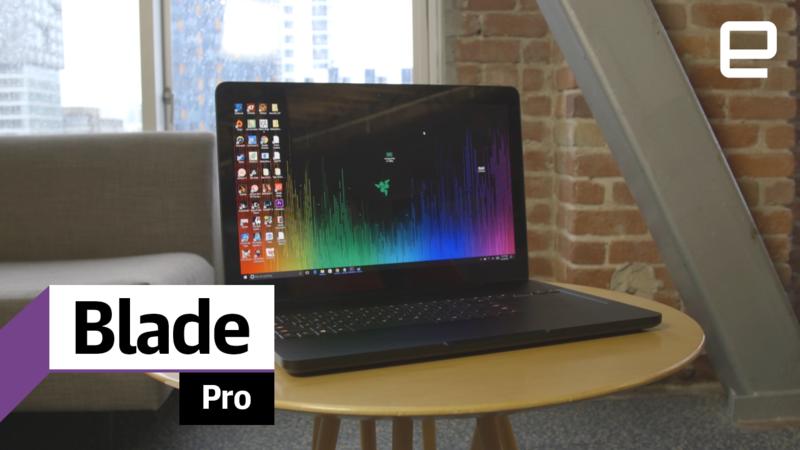 Be the first to review the Blade Pro (2016)? At first blush, the new Blade Pro looks just like Razer's other CNC-milled aluminum notebooks: It has a matte-black, unibody chassis with textured details on the lid. Indeed, this is the same design language we've seen in every laptop Razer's ever made -- it's just bigger. Indeed, the Blade is the largest machine the company has built to date, stretching 16.7 inches across at its widest point and measuring 0.88 inches tall with the lid closed. It's technically "thin and light" for a gaming laptop of its class, but at 7.8 pounds, it's not exactly portable. 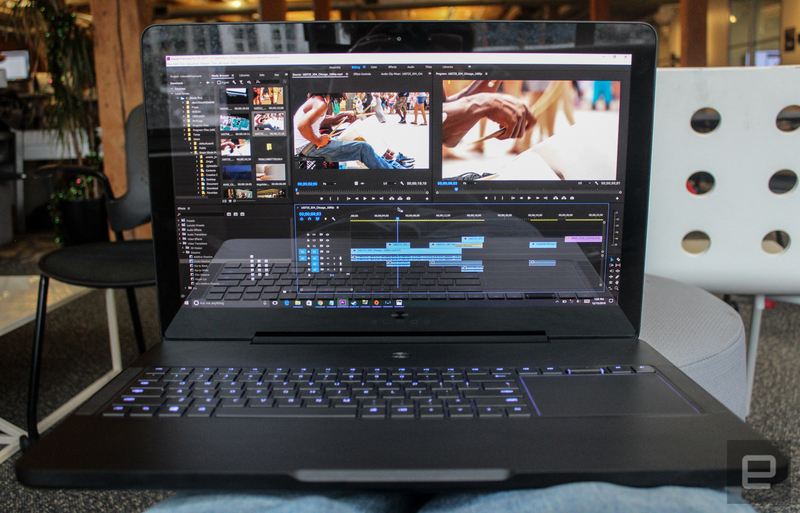 The Blade Pro may have been too big to fit in my usual work backpack, but its large frame at least offers plenty of connectivity. In all, the Pro's chassis is host to three USB 3.0 ports, an HDMI-out, a single USB Type-C socket, Ethernet and a 3.5mm audio jack. I was delighted to find an SD card reader too -- something I've missed on every Razer Blade notebook until now. At a glance, the Blade Pro's keys looks like any other laptop keyboard, but touch them and you'll find something completely different. Each key falls with a satisfying click and releases with a nearly identical pop -- the hallmark tactility of a mechanical switch. It's weird and slightly wonderful, at least for keyboard snobs like myself who extol the merits of mechanical keyboards. The Razer Blade Pro is the first laptop to ship with the company's new ultra-low-profile mechanical key switches, a new typing technology that crams the feeling of full-sized mechanical actuation and reset into a laptop form factor. If that sounds like a lot of buzzwords, don't worry: All you need to know is that the Blade Pro's new keyboard is excellent. After a firm click and a soft landing, its keys spring back with a delightful push. It was an odd sensation at first, and clashed with the muscle memory I'd built up from years of typing on traditional keys. Still, the longer I used the keyboard, the more I came to love it. Its 1.6mm of travel is still a little shallow compared to the cherry-mx switches I'm used to on my desktop machine, but the Blade Pro's keys nonetheless feel like a minor revolution in mobile typing. The Blade Pro's trackpad is far less revelatory, but it still defies tradition. Most laptop mousing surfaces are positioned below the keyboard, but the Blade Pro's trackpad is placed to the right of the notebook's keys instead. This is odd, but not necessarily bad. After some adjustment, it feels completely natural, mirroring the position one might hold a mouse relative to a desktop PC. Although I grew to appreciate the starboard pad, I still couldn't shake old habits. I pawed at the empty space below the keyboard at least half as often as the touchpad itself. It's hard to unlearn years of laptop use. The Blade Pro's keys feel like a minor revolution in mobile typing. That odd placement aside, the trackpad itself is excellent. 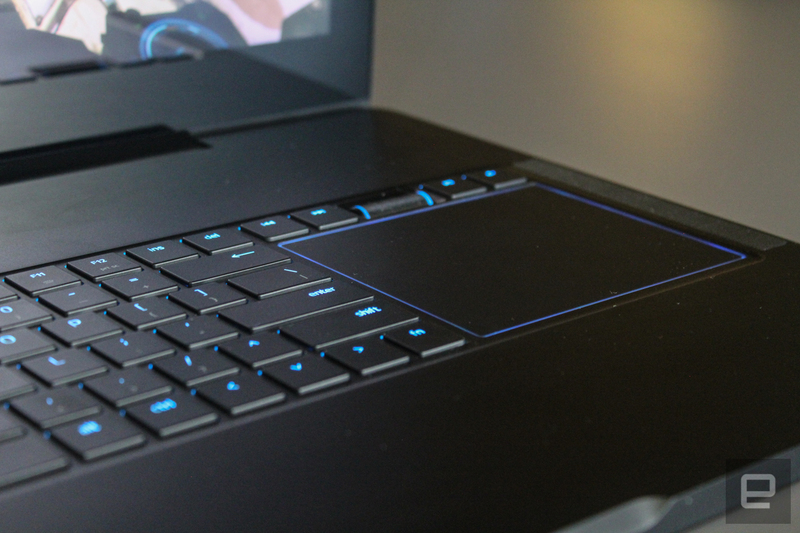 Razer perfected the Windows touchpad the moment it got rid of the buttons on its Stealth Ultrabook. The Pro's trackpad area is little more than a larger version of that touch surface, and that's perfectly fine. The Blade Pro also has one feature I've never seen on a laptop before: a scroll wheel. By default, the wheel merely adjusts the laptop's volume, but pressing the holding the Fn key will let it scroll through pages and documents. Like everything on the keyboard, you can tweak its functions through Razer's built-in Synapse software, which also controls keyboard macros, key assignments and Chroma backlight profiles. Laptop speakers are typically good but never great. The chassis of a notebook simply can't compete with the acoustics of a home stereo or even just a decent pair of headphones. The Blade Pro, however, makes a fine effort anyway. 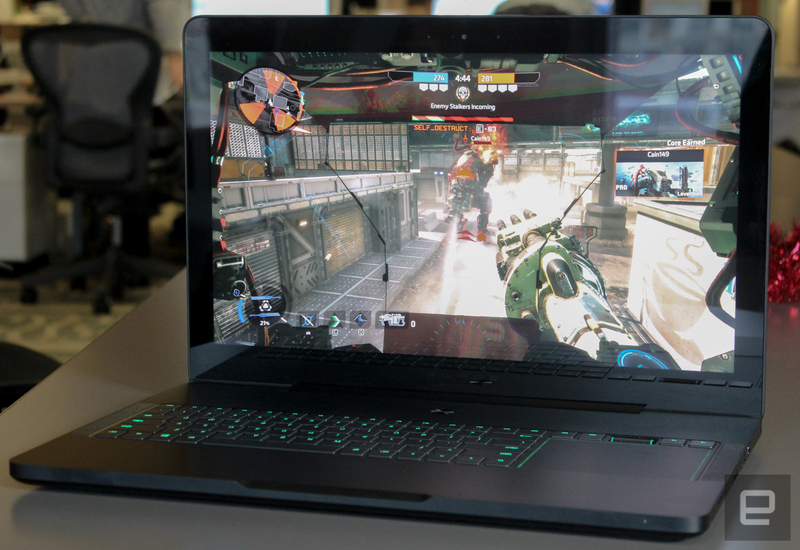 In addition to gifting the Pro with bigger, amplified speakers than its predecessors, Razer has cut "dual firing" slots into each side of the laptop's frame. Basically, there are two acoustic holes in the chassis that help push sound away from the machine and out into the room. The result is loud, clear and well-separated audio that can easily fill an entire room. It still doesn't beat my stereo or headphones, but it's enough to push the Blade Pro's sound from "good" to "better." Razer laptop displays have a habit of exhausting my vocabulary -- there are only so many synonyms for stunning, vibrant and beautiful. The Blade Pro's 17.3-inch IGZO 3,840 x 2,160 touchscreen is no exception. Between its wide viewing angles, deep blacks, bright colors, 100-percent Adobe RGB colorspace and NVIDIA's existing G-Sync screen-tear prevention tech, the machine's display is simply excellent. Games, videos and photos all look wonderful on it. This year, though, the Blade has earned a new adjective: necessary. The Razer Blade Pro is the first gaming laptop I've ever used that isn't hamstrung by an ultra-high resolution panel. This machine is actually powerful enough to play modern games in 4K. For years, Razer's "Blade Pro" lingered in obsolescence, two full generations behind the bleeding-edge processors and graphics technology the company put in its other laptops. Not anymore. With a 2.6GHz Intel Core i7-6700HQ CPU beating at its heart, 32GB of RAM and NVIDIA's latest GTX 1080 GPU, the new Razer Blade Pro absolutely lives up to its moniker. This is the most powerful laptop Razer has ever built and the first gaming laptop to cross my desk that can run circles around my game library at ultra-high resolutions. The Blade Pro chewed through Titanfall 2 and Overwatch at its native 3,840 x 2,160 resolution on their maximum settings, consistently running each game at 60 frames per second or higher. Games like Just Cause 3, Battlefield 1 and Hitman all stayed above 45 fps on their best configuration at the same resolution. Only two games in my library balked at the Blade Pro's GPU: the Witcher 3 and Watch Dogs 2. These titles fell just short of a 30-fps average on their maximum settings in 4K, forcing me to pull them back to medium graphics settings or dial the resolution down to 1080p. That's not just good performance -- it's paradigm-shifting performance. I've lambasted the last two generations of Razer laptops (as well as other gaming notebooks) for having screens that outpaced the capability of their GPUs, forcing players to choose between ugly, non-native resolution or ugly, low-fidelity graphic settings. Now, people don't have to choose anymore. That's fantastic. 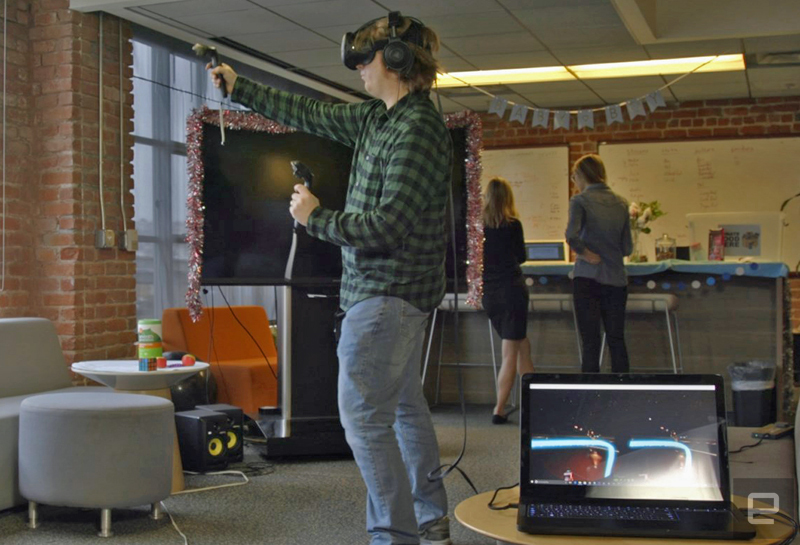 Oh, and were you thinking about picking up a virtual reality headset? Go ahead: The Blade Pro scored 6,908 in VRMark's Orange Room test and 1,992 in the more intensive Blue Room benchmark. That's good enough to comfortably run most anything in today's VR marketplace. The Blade Pro handled everything in my VR library with aplomb and only stuttered when I used Raw Data's resolution multiplier feature. Not bad at all. Razer didn't tack that "Pro" qualifier on this laptop for professional gamers. Rather, the Blade is intended to double as a work machine. To that end, the Blade Pro ran the gamut of my normal workflow as if it were a light jog, shrugging off my standard mess of browser windows, chat programs and video editing software. Unfortunately, it couldn't do it for very long. Despite housing a huge 99Wh battery (the largest allowed on airlines, according to Razer), the 17-inch workhorse lasted just shy of four hours on battery. 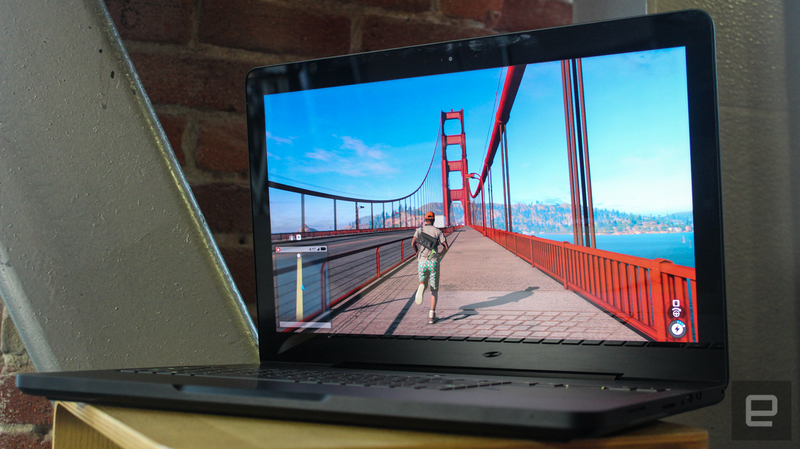 Sadly, that's kind of normal for oversized gaming laptops with 4K screens, but it's still disappointing. The Blade Pro comes in just three flavors: a $3,699 model with 512GB of solid-state storage; a $3,999 build with 1TB of space; or a staggeringly expensive $4,499 machine with a 1TB SSD. Apart from disk size, all three configurations are identical, with 32GB of RAM, a 2.6GHz Intel Core i-6700HQ processor (3.5GHz with Turbo Boost), NVIDIA's GeForce GTX 1080 GPU (with 8GB GDDR5X VRAM) and the striking 17.3-inch IGZO 4K G-Sync enabled touchscreen. If those aren't the exact specs you had in mind, you'll have to look elsewhere. If you're willing to compromise on size, power and screen resolution, there are definitely cheaper 17-inch laptops out there. The super-sized version of ASUS ROG Strix sports the same processor and allotment of RAM for only $1,300, but it only has a full HD display and a GTX 1060 GPU. MSI's GT73VR Titan Pro can be had with same processor and GPU as Razer's top build for $3,399, but it's also more than twice as thick as the Blade Pro. On the other hand, if you were really concerned about size, you probably wouldn't be looking at 17-inch laptops in the first place. For the past few years, Razer's "Blade Pro" laptop was paradoxically its least advanced machine, but the latest model finally lives up to its name. With enough power to handle high-resolution video editing, 4K PC games and even virtual reality, it's the most powerful system Razer has ever built. This is a premium laptop with a top-notch display, excellent build quality and quite possibly the best notebook keyboard I've ever used. That said, the new Blade Pro is also the largest and most expensive PC Razer has ever built. There's a lot of value to be had in its $3,699 price tag, but also some compromise. Its enormous frame makes it hard to lug around, and it fails to overcome the Achilles' heel of its category: short battery life. 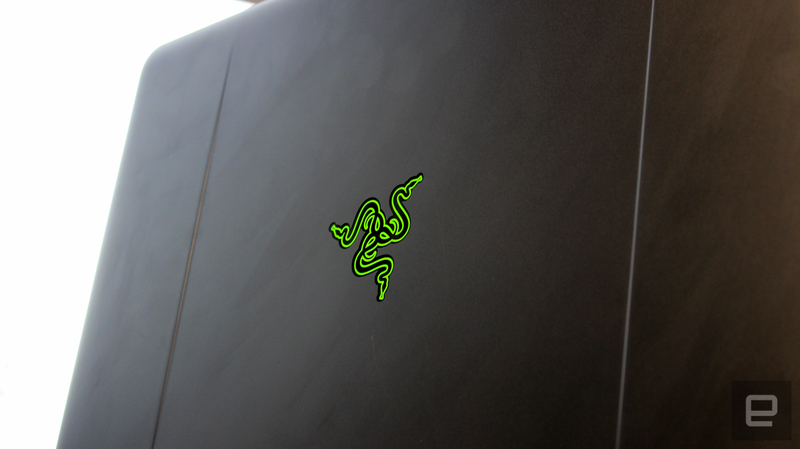 If you can live with those drawbacks, though, Razer's flagship laptop is waiting for you.